All inclusive cruise packages offer the ultimate in hassle-free cruising. With your holiday all paid for before you arrive onboard, you can sit back, relax and make the most of your holiday in a stress-free environment. All inclusive cruise packages include your flights (unless departing from a UK port), your meals, drinks at the bar and entertainment in your cruise fare. So of the great cruise lines below will also include the speciality restaurants, sore excursions and wine during dinner that has been perfect paired by an expert sommelier. 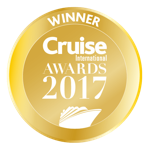 There is a wide variety of cruise lines on offer from the 3* family friendly cruising of Island cruises to the spectacular five-masted Club Med 2 or Azamara Cruises offering more inclusive club cruising. For those looking for something a little more luxurious, then there is a great choice of 6* luxury cruise lines from elegant and traditional to glitzy and glamorous. The great thing about an all inclusive cruise package is the great value they offer. Island Cruises offer some wonder deals for cheap cruise, while the 6* cruise lines — once you add in the inclusive extras — can sometimes be better than booking a 5* cruise where beverages come at an additional cost.